We all love seafood and Christmas Eve dinner started with Beirong sauteeing some fresh shrimp with onion and garlic as appetizers. 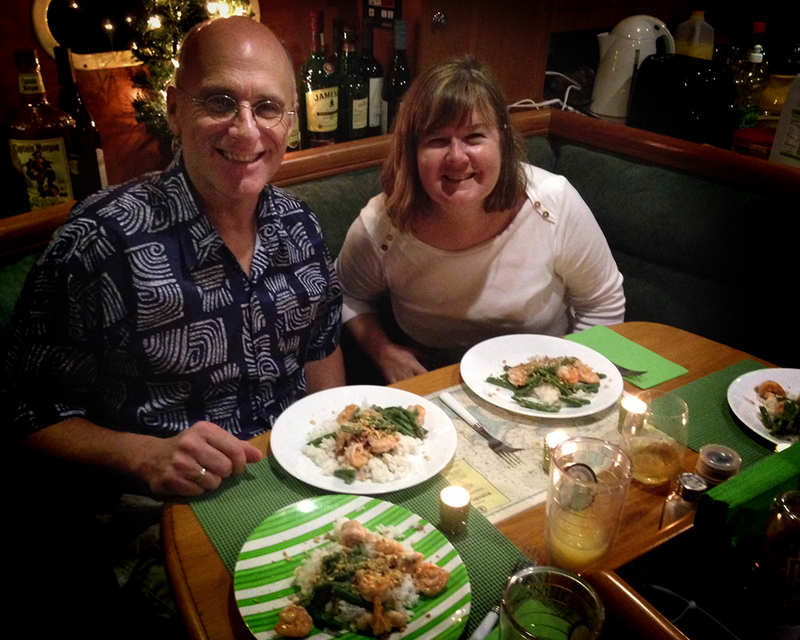 David and Beirong prepared a fabulous Thai shrimp curry for Christmas Eve dinner. Beirong’s iphone shot shows David and me about to dig in. For Christmas dinner we barbecued fresh mahi mahi and veggie packets. We added some saffron rice topped with green onions. 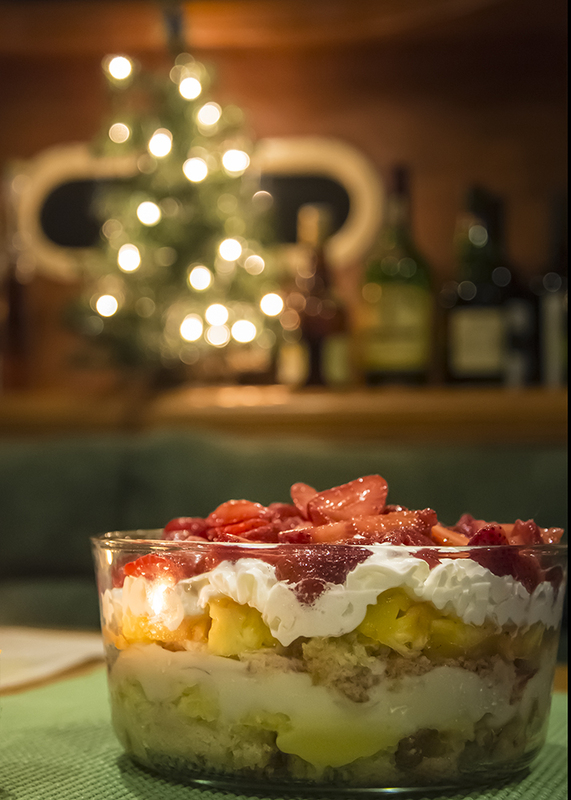 Christmas trifle was a tropical take on the old favorite with fresh pineapple and strawberries along with the traditional cake, custard, rum and whipped cream. Oh yes, I added Key Lime curd because after all, we are in Florida. Sherry the Christmas Trifle looked so yummy…and adding the key lime curd…genius my friend! Have a Happy New Year. What delicious meals….and time spent with friends? It does not get much better!!! My goodness, everything looks so yummy, Sherry. Looks like delicious fun! The last photo is gorgeous. I made trifle for my Christmas dinner dessert too this year, for the first time – though mine was rather less tropical (I used frozen raspberries from our garden, which worked perfectly). It looks perfect! Boy, that trifle looks good! What a fun Christmas you had and in good company too by the look of things! Nice to see you! 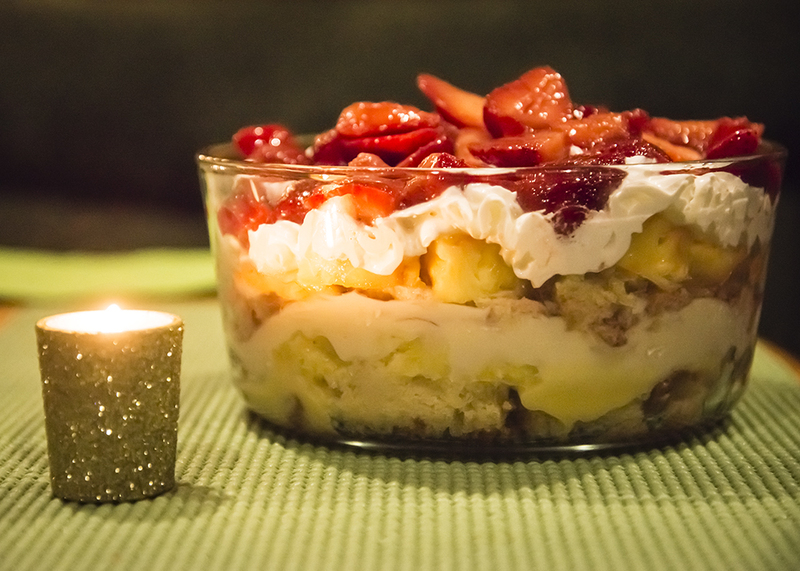 That trifle looks completely wonderful and trifles are one of my favourite desserts! That little Christmas tree of yours certainly shone brightly and gave just the right atmosphere for your feast! Looks like we were on the same Christmas Eve wavelength. 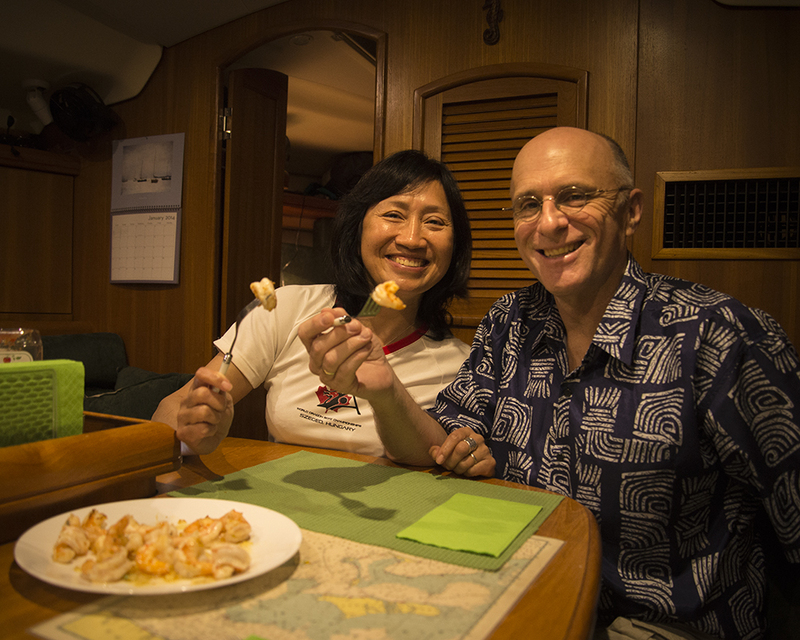 Our dinner was a garlic shrimp saute with noodles. 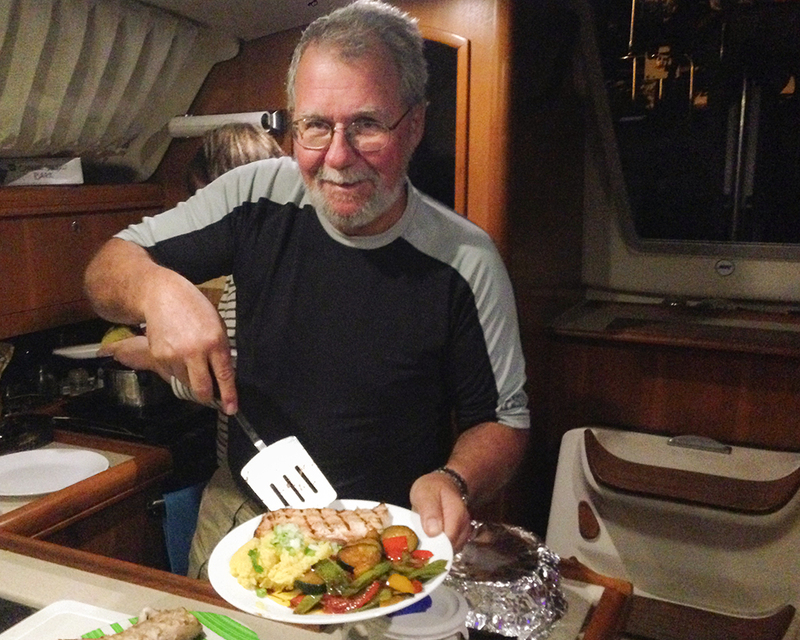 (Our Christmas Day mahi mahi was turkey. LOL) Love the bokeh!